Fall has arrived which means it's time for boot season!! 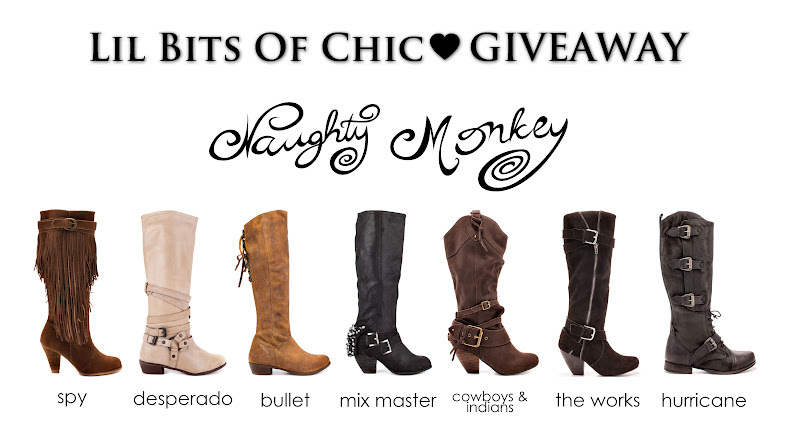 What better way to way to kick it off than with a Naughty Monkey Boot Giveaway! If you follow my blog, here is your chance to win a pair of these amazing boots! 1. 'Like' Lil Bits of Chic and Naughty Monkey on Facebook! 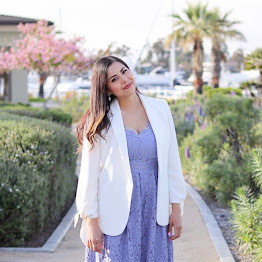 "(Lil Bits of Chic)" the boot name and size you would like to win! For example: "(Lil Bits of Chic) Spy, size 9" on Naughty Monkey's Facebook Wall. Giveaway ends Oct 15, 2012 and is open for U.S. and International!! GIVEAWAY IS NOW CLOSED! WINNER WILL BE ANNOUNCED SHORTLY. ☮, ♥ & Thank you for entering! Just entered! What cute boots, I hadn't heard of Naughty Monkey before. Thank you DD!! They are a great brand of shoes distributed though big stores like DSW, Nordstrom, Zappos... Thank you for entering, and Good Luck! Awesome!! Thank you for entering and Good Luck!! Entered! Thanks for the awesome giveaway! Entered. What a fabulous giveaway! Thank you! just entered :) fingers crossed! I just entered thanks for the great giveaway Im so in <3 withthe BULLET boots by naughty monkey I <3 <3 <3 <3 them especially the color of them :0) #fingers& toes# crossed! Thanks for the opportunity to win boots from the fabulous Naughty Monkey! I'm a big NM fan, love their shoes & boots! Just entered your giveaway doll and of course following you everywhere and also left a comment on Naughty's FB wall. I entered! Left my comment on Naughty Monkey's wall ...thanks for the chance to own a pair of these beautiful boots!